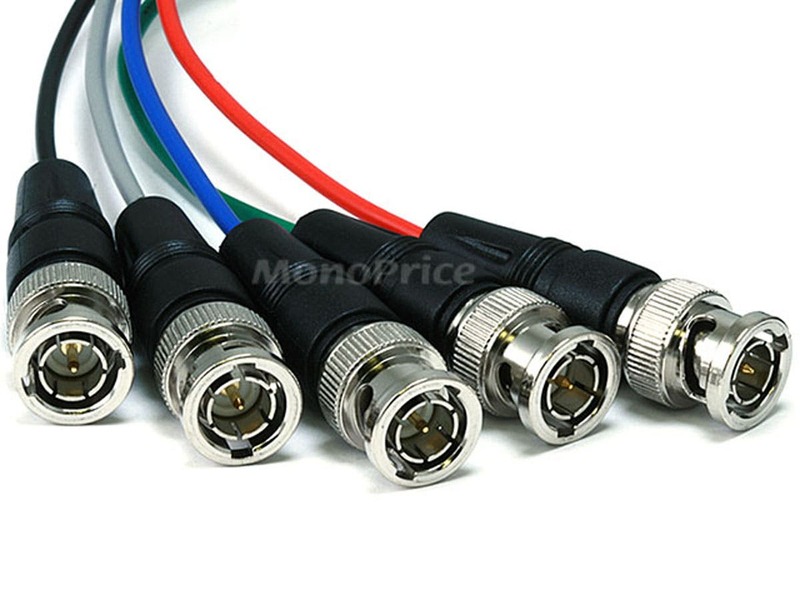 Used two of these for connecting VGA sources into an Extron AV selector. I don't see any noise at all on the signal and all the connections are tight and seem very well constructed. 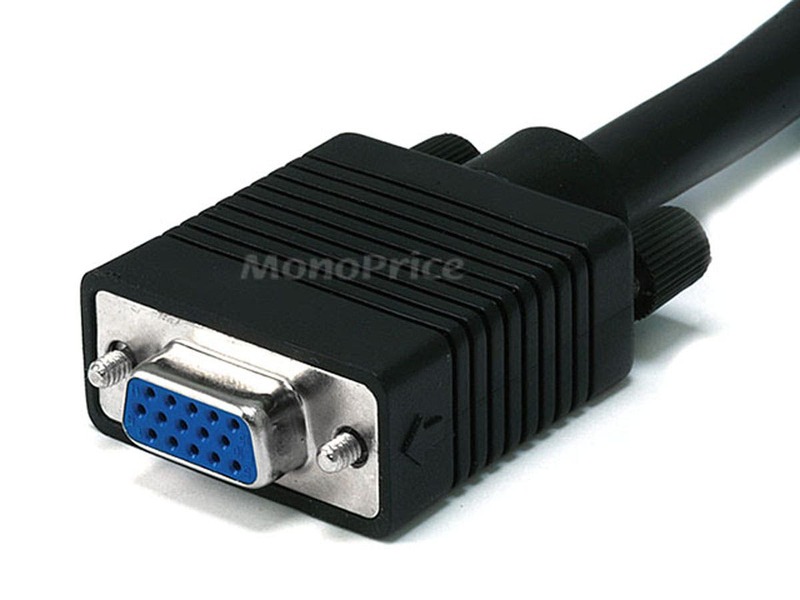 I recommend getting these if you need to convert VGA sources to broken out BNC. Monoprice was the only option I had to get these cables beyond making them. There are other options that would be 2-3 converters all lined up to do what I needed, but these were a small package of everything I needed. Great product and will order more when the video matrix needs expanding. PROS: Cheap, reliable, and I didn't have to make them myself. CONS: The wires to the BNC connections are thin. PROS: - Amazing price! These are usually at least 3-5x this price from other suppliers. - Surprisingly good quality, seems nice and tough. 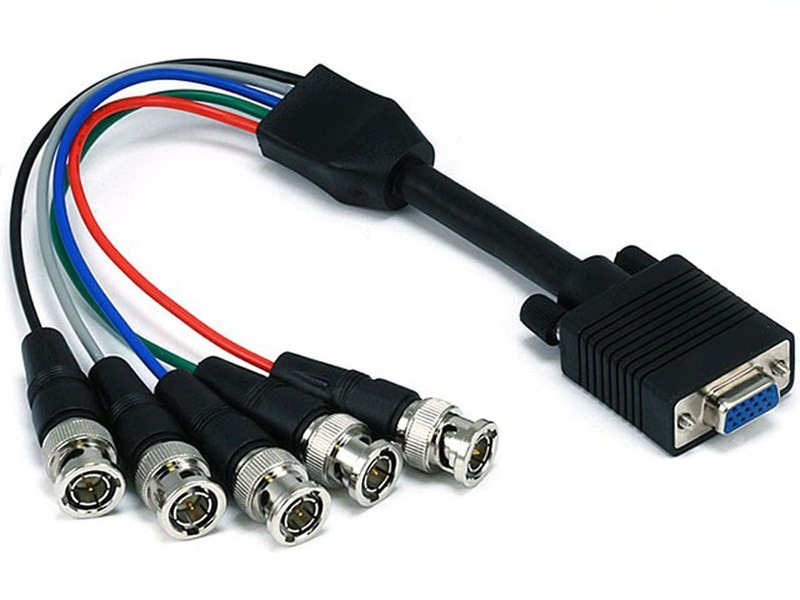 - Useful to have around for connecting PCs to broadcast/pro video equipment and vice-versa.